Honeycomb Technology is a guide to honeycomb cores and honeycomb sandwich panels, from the manufacturing methods by which they are produced, to the different types of design, applications for usage and methods of testing the materials. It explains the different types of honeycomb cores available and provides tabulated data of their properties. 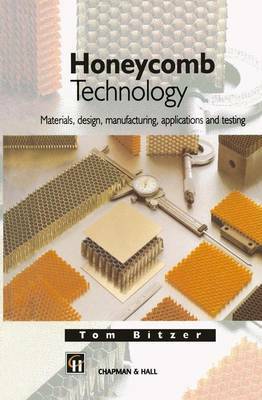 The author has been involved in the testing and design of honeycomb cores and sandwich panels for nearly 30 years. Honeycomb Technology reflects this by emphasizing a `hands-on' approach and discusses procedures for designing sandwich panels, explaining the necessary equations. Also included is a section on how to design honeycomb energy absorbers and one full chapter discussing honeycomb core and sandwich panel testing. Honeycomb Technology will be of interest to engineers in the aircraft, aerospace and building industries. It will also be of great use to engineering students interested in basic sandwich panel design.